Soy has gotten a lot of attention in recent years because of its use in food products, but it also makes a great natural alternative to traditional cleaning products. Most traditional cleaners are made using petrochemicals and volatile organic compounds, which can be dangerous in a number of ways. From air quality, exposure risks and environmental hazards, these cleaners typically carry warning labels. Soy based cleaners don’t use petrochemicals or VOC’s, but work just as well as their traditional counterparts. These cleaners do not evaporate or release chemicals into the environment. Soy cleaners are gentler on skin and can be used safely around children and pets. So, how do soy based cleaners work? SoyWorld USA uses a patented process to create millions of soy micro particles designed to bust up dirt and grime the instant they hit the surface. This is done naturally without harsh or toxic chemicals. Independent laboratory tests also proved SoyWorld products are 99 percent effective in fighting bacteria, not something seen in other natural cleaners. SoyComplete All Purpose Cleanser has many uses. 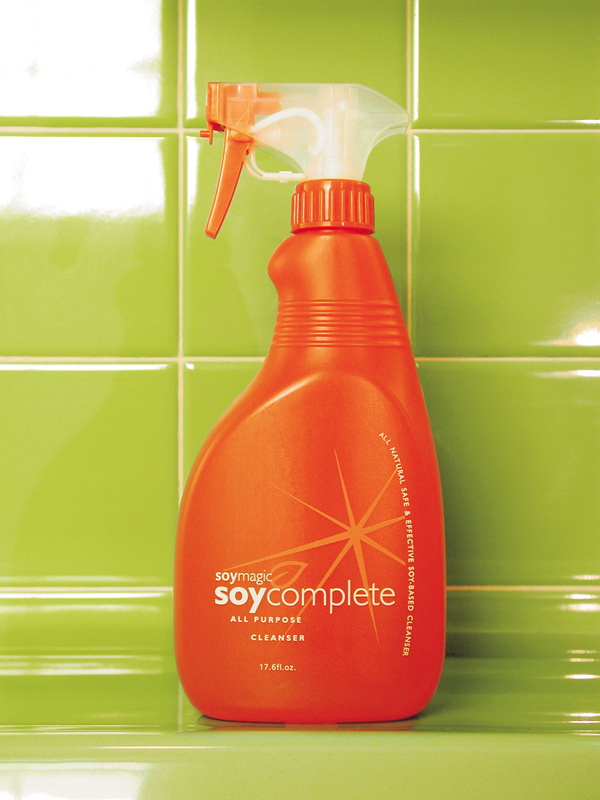 Whether it’s removing tough stains from countertops, upholstery, carpet, and clothing, or cleaning the bathroom, SoyComplete breaks down dirt, grease and bacteria using the force of soy micro particles. Think “scrubbing bubbles” without the harsh chemicals or fumes. It also cleans surfaces to help your home or office stay germ free during cold and flu season. SoyShine Dish & Tableware Cleanser can be used on all types of dishes, glasses, utensils, and cookware. Its unique concentrated spray delivery system helps save water and the amount of cleaner needed, saving you time and money. SoyShine is also great on stainless steel and helps drain pipe odor by breaking down grease and bacteria. It also works wonders on crayon markings on all types of surfaces. 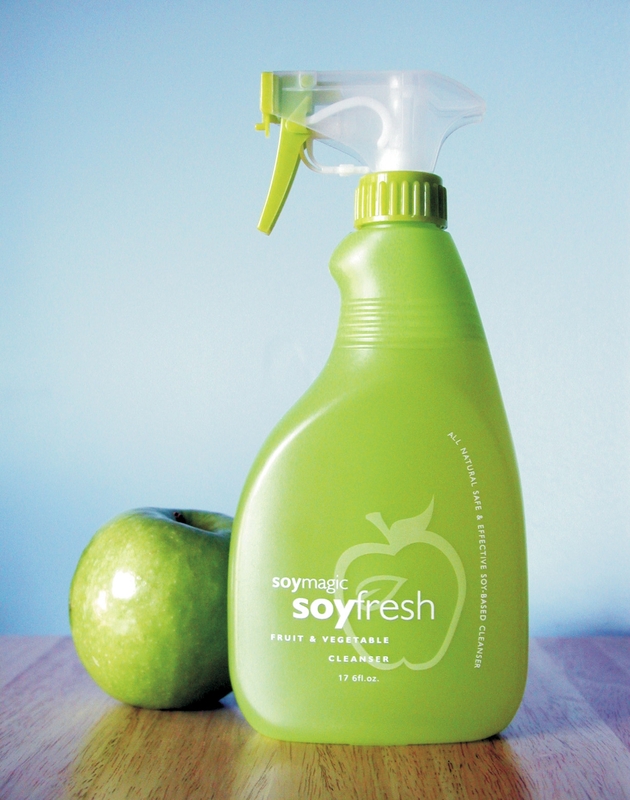 SoyFresh Fruit & Vegetable Cleanser removes 99 percent of bacteria naturally – cleaning away wax, chemicals and dirt from produce. It contains no chemicals and is 100 percent safe for your family. No need to buy organic food when using SoyFresh. Just a quick spray and rinse is all you need to banish pesticides and chemicals from fresh produce. All household products are non-toxic, non-flammable, and biodegradable. They also provide post-consumer benefits such as helping other oils and acids break down in waterways. Skin care tips are readily available from friends, family and the Internet, but some of that advice is actually bad for your skin. We look at some of the more popular myths and the truth behind them. 1. Soap and water work just fine to clean your face. Using soap on your face actually does more harm than good. Soap can cause rashes, especially if you rub with zest while removing makeup. Most soap has a similar pH found in detergents, which causes excessive dryness and skin tightness. Use a soy-based skin cleanser that gently removes dirt, makeup and bacteria without the harsh ingredients found in most traditional cleansers. 2. You don’t need sunscreen on a cloudy day or during cold weather. Believe it or not, up to 80 percent of the sun’s UV rays can penetrate through clouds. Sunscreen is still needed on days even when the sun is on hiatus. And contrary to what you may think, sunscreen is also needed on a cold and cloudy winter day. 3. Popping a pimple speeds up healing. This is totally false. In fact, popping a pimple can cause inflammation and scaring, which delays the healing process. Plus, it can create more pimples. 4. Oily skin doesn’t need moisturized. Your skin needs moisture on a daily basis, even if you suffer from oily skin. Just because you have oily skin doesn’t mean it’s properly hydrated. Skin needs moisturized to help keep it hydrated. Soy-based moisturizers are a great choice because they help skin elasticity, reduce blotchiness and discoloration, and control oil production without harsh chemicals. They are also full of antioxidants to combat the effects of the environment. 5. Acne is caused by dirt or the foods you eat. The truth is acne is caused by heredity and hormones. Excess sebum is produced by the oil glands in your skin. The sebum clogs the openings to hair follicles and bacteria grow in these clogged follicles, hence the appearance of blackheads or whiteheads. Wrap up holiday shopping and enjoy free shipping through the month of December when you spend $20 or more at SoyMagic.com. Just use coupon code FREESHIP20 at checkout. Try a Green Home Starter Kit featuring all of our household products, or simplify your skin care routine using our Skin Care Set featuring SoyMagic Skin Cleanser, SoyMagic Body Lotion and SoyMagic Face Lotion. Or, give the gift of clean golf clubs with SoyGolf, our amazing cleaner that removes ball marks, grass stains and tee marks while restoring luster to clubs. Spend at least $20 and we’ll deliver them free of charge in the continental United States. No waiting in line, wasting gas or time. Our patented process starts with real soybeans – not soy extracts or soy oils – and is broken down into incredibly small particles. These micro particles travel at incredibly high speeds and force when they encounter a surface. The cleansing mechanism in SoyMagic is much more effective, much more efficient, gentler on your hands, and kinder to you and your family’s health. Independent laboratory results concluded our products are also up to 99.99% effective in fighting bacteria, including E. coli and Salmonella. Thoroughly wash hands before handling any food. Always make sure counter tops, cutting utensils and surfaces are clean. Don’t handle meat and fresh foods together. In fact, we recommend using two cutting boards or surfaces. If space is limited, clean surfaces using a soy based cleanser designed to destroy harmful bacteria. Follow proper washing techniques for fresh fruit and vegetables, whether they will be consumed raw or cooked. If you’ve missed the window to safely thaw out your turkey in the refrigerator, use cold water in a sink and change it every 30 minutes. Do not rinse turkey or other meats prior to cooking, as this can transfer bacteria to sinks and areas around counter tops. 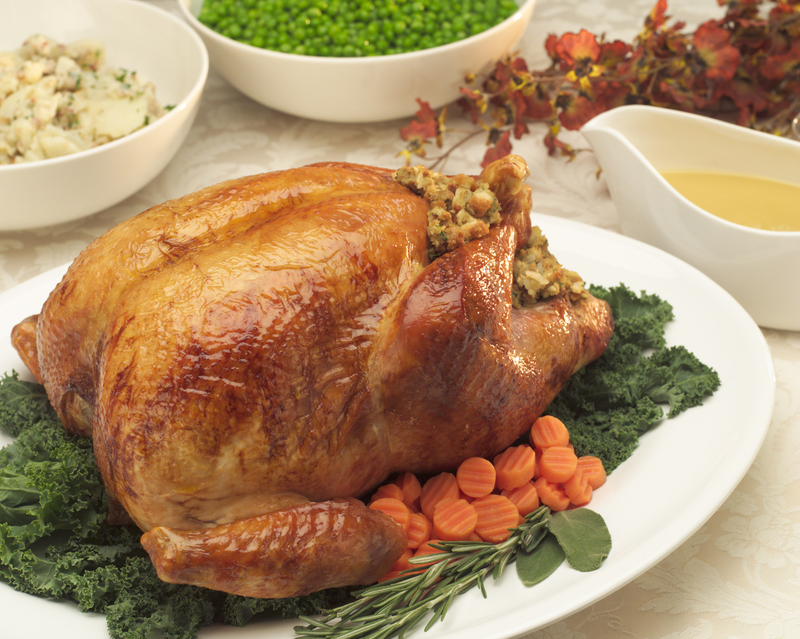 Turkey must reach an internal cooking temperature of at least 165 degrees in order to destroy bacteria. Use a food thermometer in several locations, including the thickest part of the breast. Do not rely on eyesight or a pop up temperature indicator to determine if your turkey is properly heated. It’s also important to make sure stuffing inside the bird is heated to 165 degrees. Better yet, cook the stuffing separate from the turkey. Refrigerate or freeze leftovers as soon as possible to reduce the risk of food borne illnesses. The danger zone for bacteria growth is from 40 to 140 degrees. This includes pumpkin pie. It’s also important to reheat leftovers to 165 degrees and use within three days if refrigerated. Most traditional household cleaners are made using petrochemicals and volatile organic compounds, which can be dangerous in a number of ways. From air quality, exposure risks and environmental hazards, these cleaners typically carry warning labels. Soy household cleaners don’t use petrochemicals or VOC’s, but work just as well as their traditional counterparts. These cleaners do not evaporate or release chemicals into the environment. Soy household cleaners are also gentler on skin and can be used safely around children and pets. So, how do soy household cleaners work? SoyWorld USA uses a patented process to create millions of soy micro particles designed to bust up dirt and grime the instant they hit the surface. This is done naturally without harsh or toxic chemicals. Independent laboratory tests also proved SoyWorld’s products are 99 percent effective in fighting bacteria, not something seen in other natural household cleaners. SoyComplete All Purpose Cleanser has many uses. Whether it’s removing tough stains from countertops, upholstery, carpet, and clothing, or cleaning the bathroom, SoyComplete breaks down dirt, grease and bacteria using the force of soy micro particles. Think “scrubbing bubbles” without the harsh chemicals or fumes. SoyShine Dish & Tableware Cleanser can be used on all types of dishes, glasses, utensils, and cookware. Its unique concentrated spray delivery system helps save water and the amount of cleaner needed, saving you time and money. SoyShine is also great on stainless steel and helps drain pipe odor by breaking down grease and bacteria. The entire SoyMagic product line is non-toxic, non-flammable, and biodegradable. They also provide post-consumer benefits such as helping other oils and acids break down in waterways. The soybean’s history can be traced back to China, where it was considered a sacred grain—essential as a food item and a medicine. The rest of the world soon discovered the virtues of this versatile plant, including its valuable protein and oil properties. Soy became a valuable commodity in the United States after World War I, as it was used to help regenerate soil in drought stricken states during the 1930s. Henry Ford was a huge supporter of the soybean and was instrumental in its development in food and industrial use. Current times find the soybean a staple of the American agricultural system. A lot of the focus on soy has been as a food ingredient, but it’s been found to be a vital element in living a healthy lifestyle, with an array of medical and cosmetic benefits. How does such a small bean do amazing things? It all comes from nature, pure and simple. Soybean extracts, soybean oil, and soybean protein are all used in promoting healthy skin. Proteins help soften the skin and promote an even skin tone. Soybeans are also abundant in antioxidants such as isoflavone, a key ingredient found in green tea. Isoflavone lightens skin tone, and improves blotchy pigmentation, dullness and texture. Isoflavone also stimulates the production of collagen, a protein that provides strength, flexibility and resilience to the skin. Collagen production starts declining once an adult reaches his or her early 20s. Although this is a natural and inevitable process of aging, research has shown that soy helps slow down the process and improve the skin’s appearance. Antioxidants in general have the ability to protect the skin from free radicals that cause damage. Tocopherol (vitamin E) is another antioxidant found in soybeans. We all know how beneficial vitamin E is to healthy skin. Vitamin E protects skin cells from environmental elements that produce skin damage. Tocopherol also promotes anti-aging properties by reducing fine lines and wrinkles. It also helps skin retain its moisture and oil balance. There are skin care products out there that tout vitamin E as a main ingredient but read your label carefully. Their vitamin E may be in an acetate form, which is less efficient for skin surface penetration. The saponins and lecithin in soy make a great one-two punch in cleansing and moisturizing the skin. Saponins draw out harmful skin substances that cause blemishes and other impurities. Lecithin breaks down oils in the skin while acting as a firming agent. Think “facelift” without the surgery. There are several skin care products that feature soy as a main component, but the level and presence of these natural antioxidants all depend on how the soybean is processed. Believe or not, processing methods and chemical refinement removes or destroys the antioxidants naturally found in soy. It’s important to carefully read labels so you can maximize your investment in skin care products. Manufacturers are required to list ingredients from highest content to lowest content. Look to see where soy ingredients are listed. What other ingredients are listed? Can you even pronounce those names? Do some Internet research on ingredients for some of the most popular brand name “natural” products, and you’ll be surprised to find they were developed in a laboratory somewhere using other substances. Of course, it’s important to remember that what we put in our bodies also contributes to aging and our outward appearance, so getting plenty of fruits, vegetables, and edible forms of soy is crucial in looking and feeling our best. Holiday cleanup can be a daunting task. Whether it’s grease or baked on food, it’s tough to find just the right product to tackle the mess…until now! Our featured product this month is SoyShine Dish & Tableware Cleanser. It’s made from the natural power of soybeans. SoyShine attacks and dislodges grease and food particles the second it hits the surface. Just think “scrubbing bubbles” without the fumes or harsh abrasives. 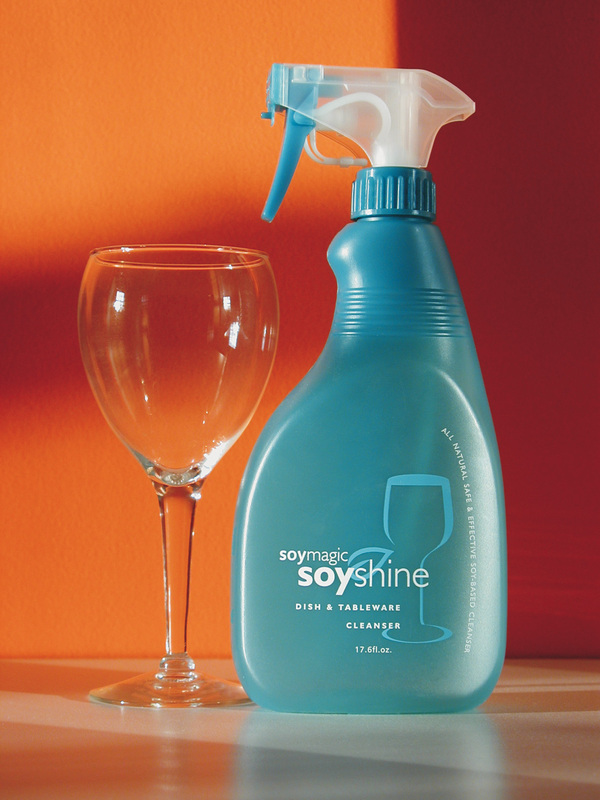 SoyShine uses soy micro particles to power away dirt, stains, and bacteria from dishes, glasses, utensils, cookware, and more. Its concentrated spray delivery system helps you consume less detergent and water, saving you time and money! Plus, the natural emollients of soy soften your hands. No gloves or hard scrubbing required when using SoyShine. Cleans stainless steel surfaces, including appliances. Cleans jewelry to a sparkling shine without harming precious metals. Spray directly on jewelry or add small amount to water. Ceramic stove top cleaner. Just use a damp, non abrasive cloth and buff to a shine with a dry towel. Removes crayon stains. Just spray, soak 10 seconds and wipe. Helps remove odor and buildup in drain pipes. An independent laboratory study confirmed that SoyShine is 99.99% effective at killing bacteria. The best part is SoyShine is biodegradable and helps break down oils and acids in the water system.